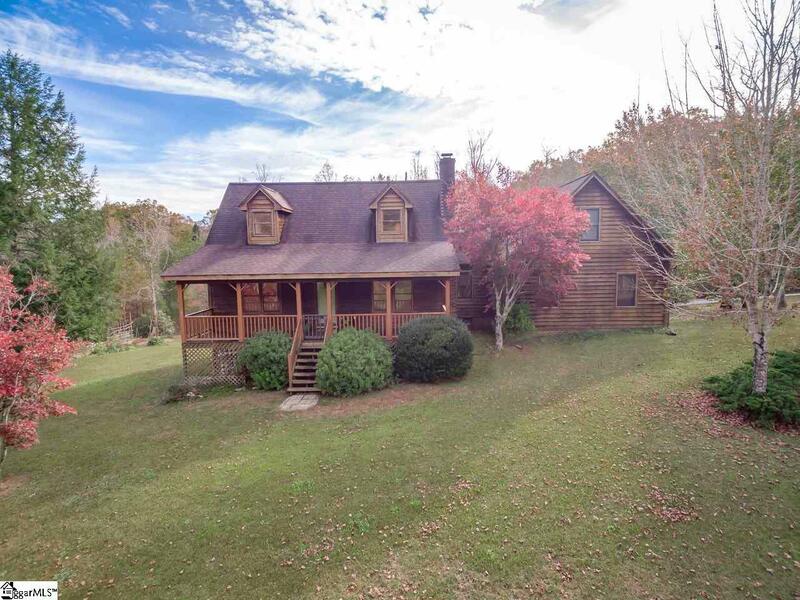 This charming 3 bed, 2 bath home is the epitome of the perfect mountain cabin! 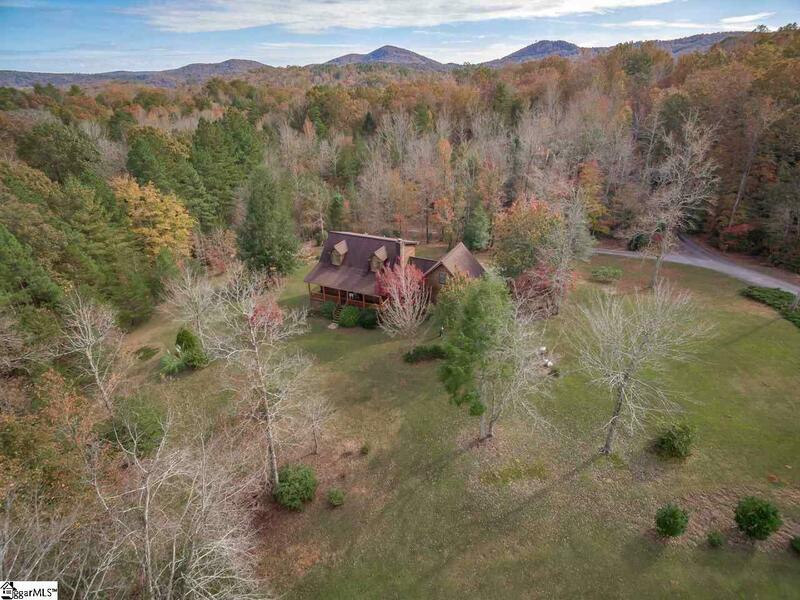 Your beautiful wood-sided cape cod is located in the heart of the South Carolina Upstate with mountain views and convenient access to Clemson, Tryon Equestrian Arena,fun mountain activities, Table Rock State Park, and Lake Keowee! 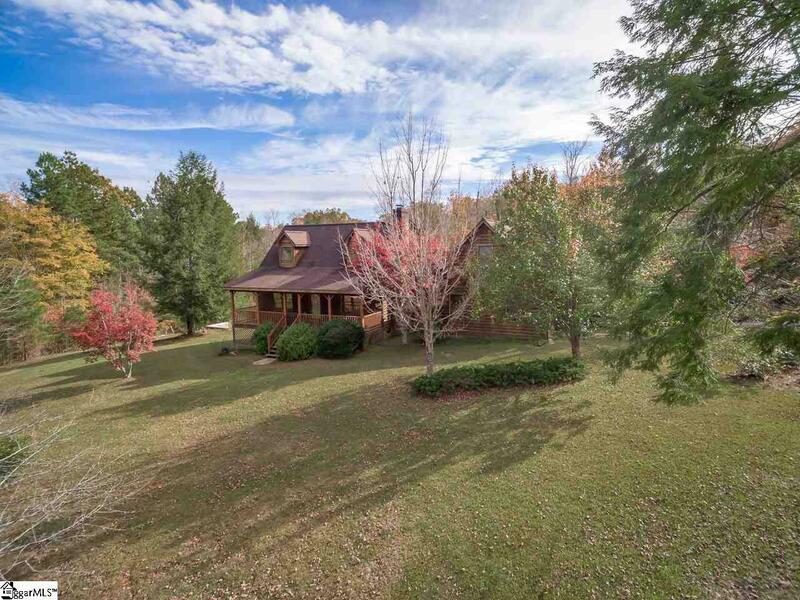 Over 1.7 beautifully manicured acres welcome you to the front porch, where memories will be made of rocking chairs in the summertime breeze with an iced cold glass of sweet tea! Step inside to a cozy yet open floor plan complete with ceiling fans, a toasty fireplace, and lots of storage space. Enjoy creating lasting memories of family dinners in your open kitchen and dining room! Located on the main level, relax and unwind in your master bedroom complete with attached master bathroom! Two additional large bedrooms and full bath are located upstairs. The charm and comfort of the home continue outdoors to a large BBQ-ready deck with breath-taking mountain views, overlooking the spacious backyard where footballs will be tossed, soccer balls will be kicked, and games of hide-and-seek will be played! Your two-car garage is neatly tucked behind the house with an extra paved pad, convenient for large get-togethers! Plus a large vegetable garden and compost bins. 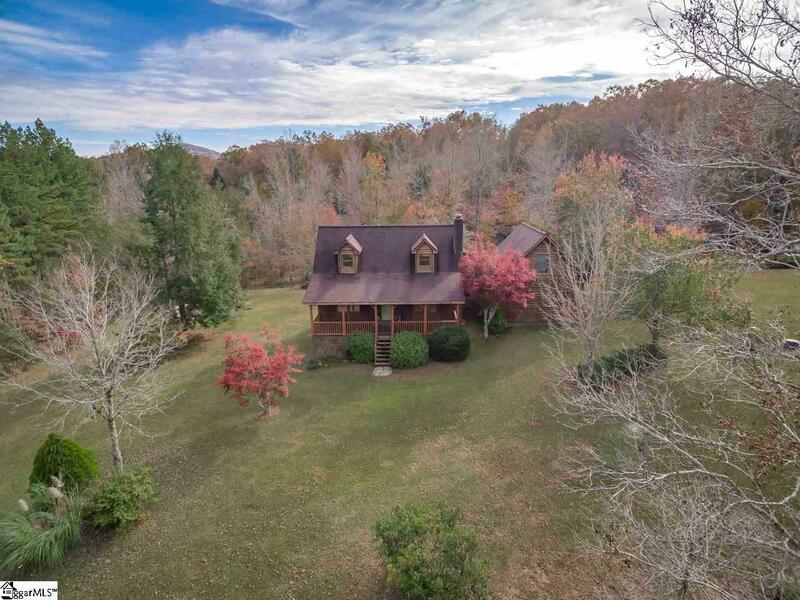 With this home, you can have it all a cozy cabin feel with tons of space to create lasting memories, yet centrally located in beloved Upstate SC! This property will go fast! Call today to schedule a showing of your family's dream home. Sold as is. The price is firm. Listing provided courtesy of Jack Sparkman of Wilkinson & Associates.